Repairing a split in the fuel filler seal. 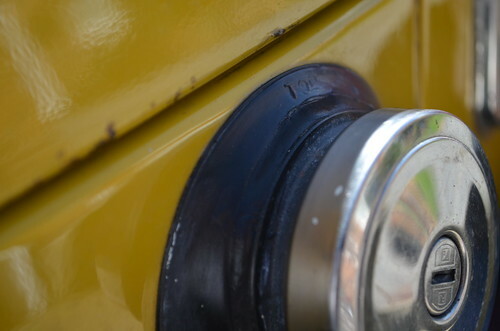 It's one of the common water ingress points for B's - the fuel filler seal if not doing it's job can lead to water running down the filler pipe and collecting in the boot of the car. Mine has been fine, but I'd noticed the seal had split leaving a bit of a gap and whilst I'd tried sealing it before with silicone sealant, I'd not seen any evidence of water getting through. Time to make a better job of it though and it occurred to me that I had some Sugru left over from another job. This stuff is weather and temperature proof and comes in black so was an ideal choice for blending into the gap between the two parts of the seal. Lucky I did as apparently the boot had started leaking a week earlier - as I was sorting the boot out I discovered that over the past week the seal had given way and some water had made its way in - luckily soaked up in the main by a towel I'd left in there to stop stuff rattling around, but it had made a mess of the soundproofing I'd put in.